This Monogrammed DIY Glasses Case would be an amazing gift to give a friend for their birthday. Easily cut and sewn from stylish felt, it is super easy to personalize this gift. Created with just one letter on the top, this polished little present works well as a DIY IPhone Case, as well. The grey in the example would make a rugged, masculine accessory for a male friend. If you are making it for a flashier friend, consider using some brightly colored felt. This is such a simple and elegant design. It would be a great way to use up some left-over scraps of fabric. 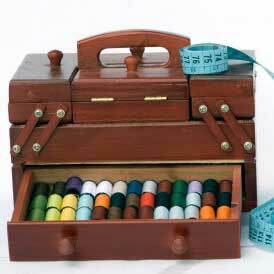 You could use the same principle to make a purse or even cut a larger version for a tablet case. If you did a version for a child you could applique a variety of different colourful patterns on the outside. Remember though that many felts aren't washable.